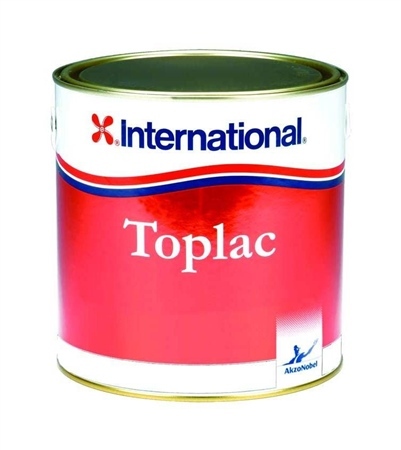 Toplac from International Paint is a premium gloss marine enamel for all substrates above the waterline. Its easy application by brush, roller or pad provides increased durability. Toplac has excellent flow characteristics and is available in a range of bright colours. With over twice the life of ordinary alkyd enamels, its unique chemical structure enables Toplac to outperform traditional finishes. Colours: Snow White, Med White.